Fall Fishing is providing nice days and great fish! Lindsay with a 16" Smallmouth bass! Andrew with his 15" Smallmouth bass. Kevin with a 20" Walleye on this September day. Long time friend Gary Maerz Jr. putting a nice Smallie in the boat. Vaughn, owner of Chasing Trophy Fish lure company proves his lures work. Vaughn with a nice Smallmouth on Chasing Trophy Fish tackle. 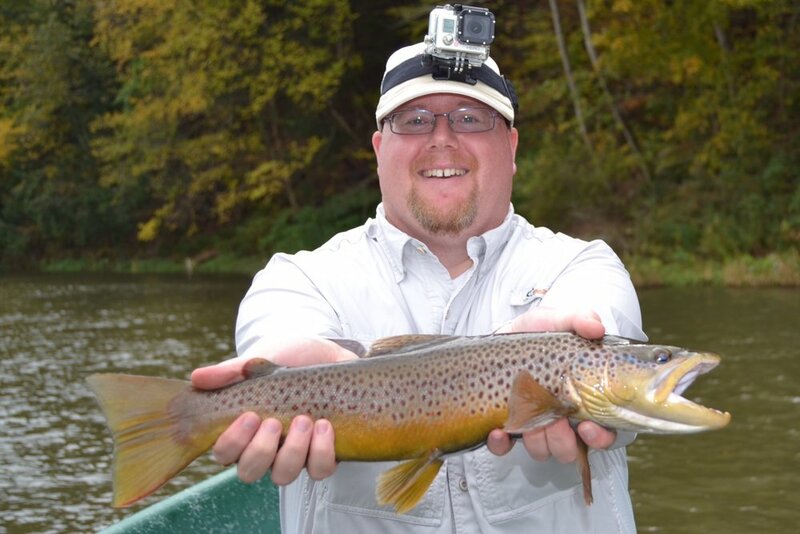 Mike P. displaying a 21" Brown caught by Steve. Steve with an nice early AM Walleye. Summer holding a nice West Branch Brown trout! Summer with another nice Brown from the West Branch. Dan B. with a nice Brown. Cookie cutter 17" browns on the West Branch. 20" Brown for Lard Almighty, "Craig". November has supplied Great Fishing!